· Clexmas 2016 Holiday Exchange - open for Signups! · Clexmas Reverse Bang - Artists done, time for writers! · Clexmas 2014 Winter Holiday Gift Exchange! · Last Day for Sign-ups! Summary: Lex contemplating in the garden. Lex leaned forward to examine the deep purple lilacs on a bush in the castle’s garden. The color soaked up his soul, the mark of royalty pleasing his senses as he inhaled the sweet scent. 6th-Nov-2017 08:31 pm - Clexmas Sign-ups due Nov 8! 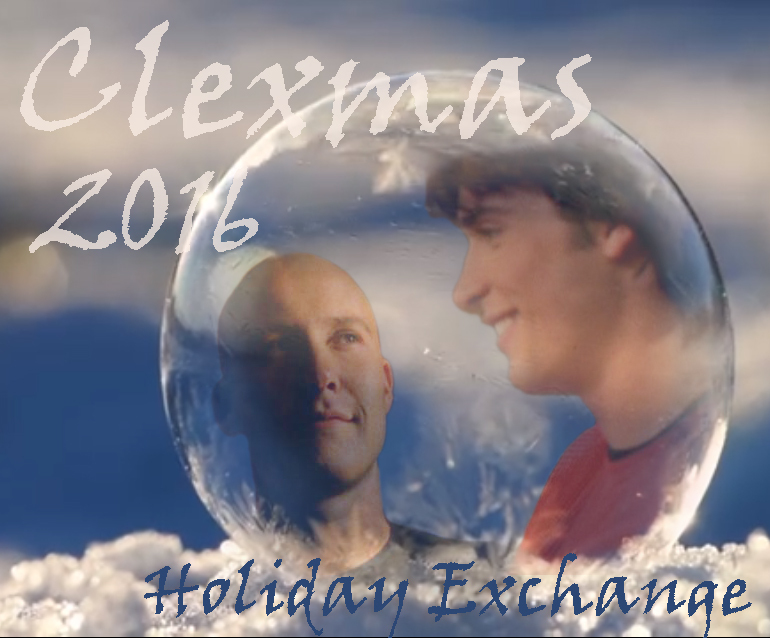 The annual Clark/Lex Holiday Gift Exchange is upon us. There's also some sample sign-ups there if you need ideas. Posting won't be until after Christmas, going through the first couple weeks in January, semi-flexible. So there should be enough time to complete other challenges and get this one too. 8th-Nov-2016 07:48 pm - Clexmas 2016 Holiday Exchange - open for Signups! 19th-Jun-2016 11:46 pm - Clexmas Reverse Bang - Artists done, time for writers! The art round for the Clexmas Reverse bang has finished! We have five amazing artists with 15 different works to inspire writers and vidders with. Writing or vidding may now begin! Open until August 1. Clexmas is still going :) We're open for signups for 2015! Summary: A little fun under the table at The Talon, a lot more fun under the sheets in Clark's new bed. Summary: A mysterious bouquet of orange flowers causes amorous behavior in those exposed to it, and its effects are contagious. 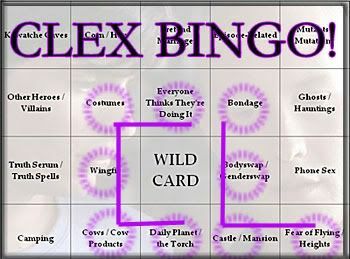 Claim: For my 2015 clexmas Spring Fling Bingo Card. Summary: Clark and Lex enjoy a picnic on a perfect day. A red-and-white-checked tablecloth was laid out on the grass, the remains of fried chicken, potato salad and ears of corn deposited in the picnic basket. Frosty red-and-white cans of Coke were propped up in a cooler. Summary: Clark brings a special present to lift Lex’s spirits. Clark tramped through the fields toward what he privately called Castle Luthor. 2nd-Apr-2015 11:21 pm - Clexmas Bingo 2015! Come and enjoy the stories, art, vid, and trips down memory lane! Summary: Lex and Clark spend some quiet time together. "Can you take a break and get some fresh air?" 8th-Nov-2014 11:37 pm - Clexmas 2014 Winter Holiday Gift Exchange! Yes, Clexmas is back for another year. :) If you'd like to give and receive Clex this year, please sign up and join in the fun! Hi! I'm a new entry...and I love Clex. 6th-Aug-2014 09:57 pm - One more day to join Smallville Big Bang 2014! 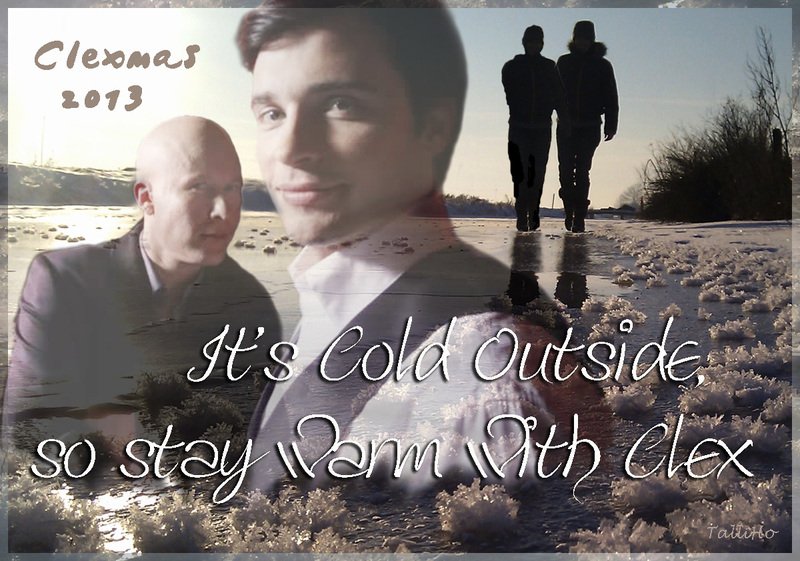 The Clexmas True Love Drabble Fest is back for another year! Seven days of romance and whatever strikes your fancy for the Clex. We post a prompt a day, and then Clex ficlets and art around that prompt can be posted in the comments for that post. 24th-Jan-2014 02:15 pm - Clexmas 2013 Gifts! 16th-Nov-2013 04:54 pm - Last Day for Sign-ups! Come sign up for the Clexmas Holiday Gift Exchange! Sunday is the last day - assignments will go out Monday. This page was loaded Apr 18th 2019, 11:24 pm GMT.